Aa collection of plain and bordered rugs in herringbone and boucle designs and weave patterns. Made from 100% polypropylene sisal look flat-weave (contains no Jute fibre) so will not rot and has the added benefit of being suitable for the use indoors and outdoors. 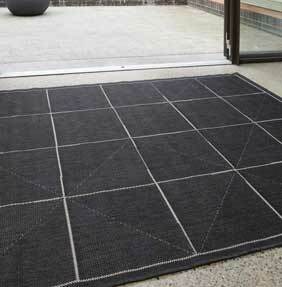 Ideal for hallways, entrances, conservatories, kitchens or outdoor use on decking, flags or under patio furniture. Mya rugs are resistant to UV rays, water & mildew. Available in 3 sizes.